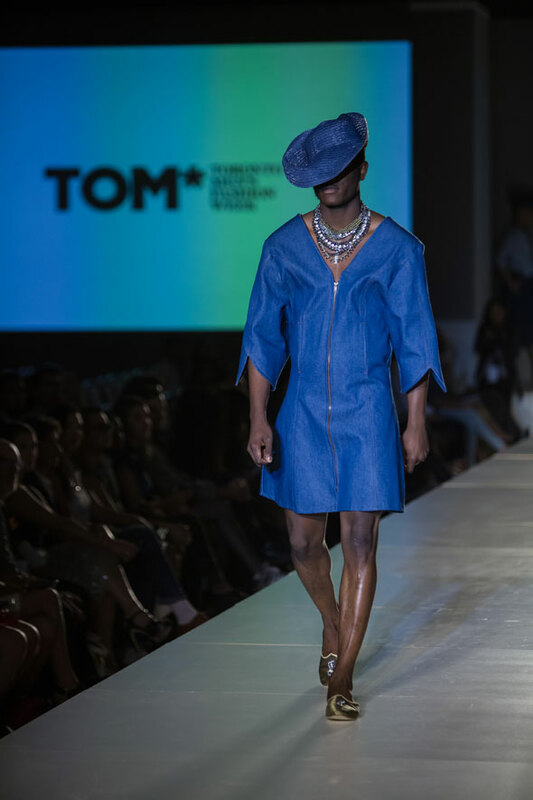 After being pulled from the first-ever Toronto men's fashion week just days before his runway show, allegedly due to concerns that the clothes were too "androgynous" and "femme", Mic. 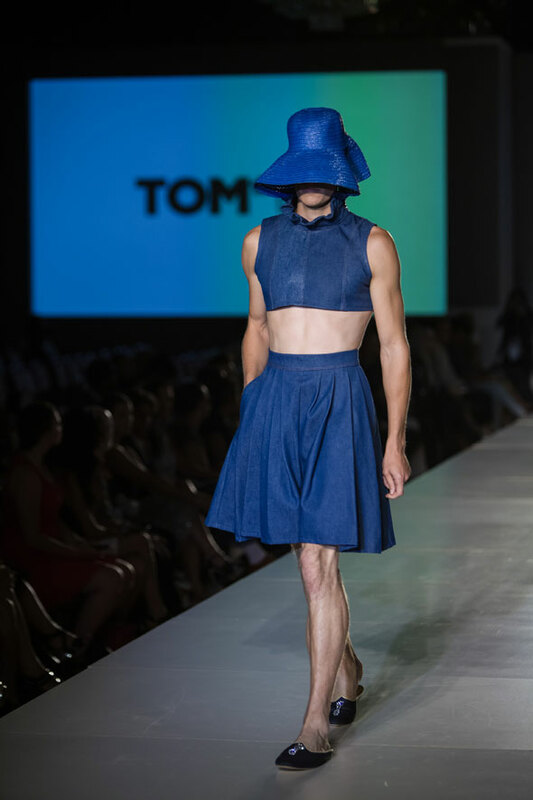 Carter's L'Uomo Strano line was reinstated to the runway yesterday - crop tops, full skirts and all. After he posted his side of the story on Facebook, his complaints spread around social media and finally hit local news outlets. Carter says he was hit with "a really surprising outpouring of support ... I was quite taken aback, but really encouraged." On Wednesday, the event's staff sent Carter a message asking him if he'd consider showing. 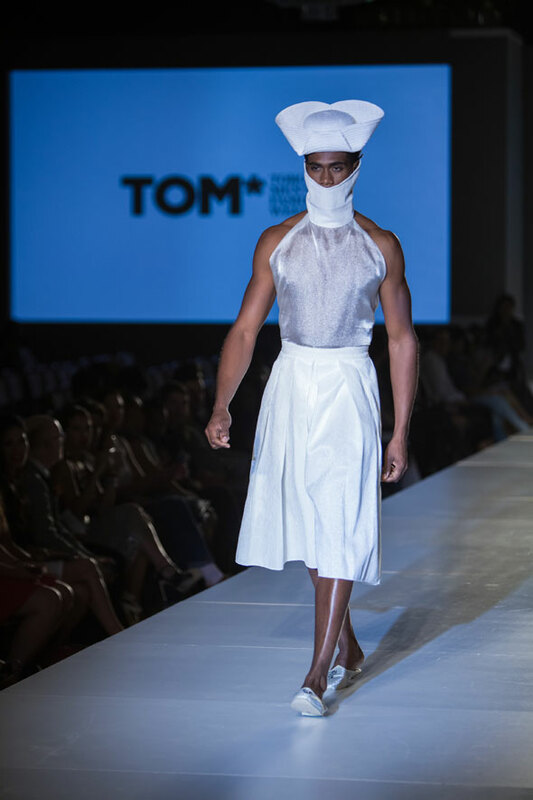 Though he was initially conflicted about taking the offer, "I wanted to honour the collection, honour the positive energy that the fashion community - and people outside the fashion community - had projected into the idea behind the collection." 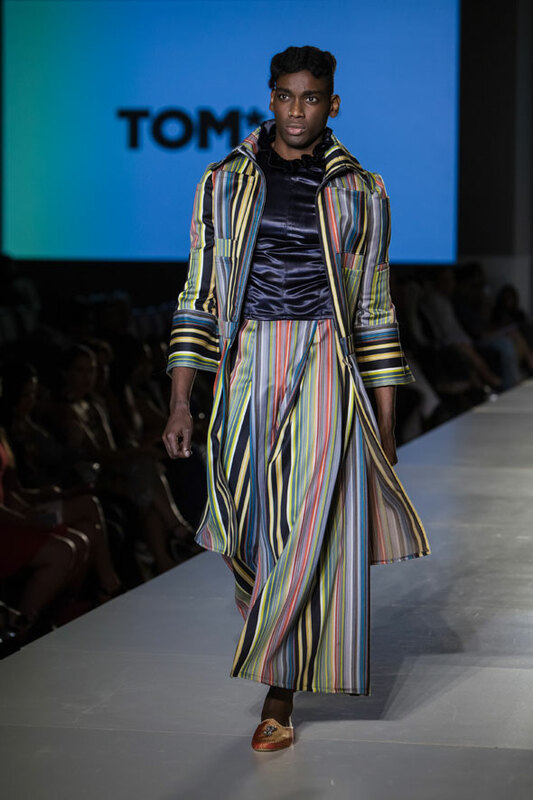 Though he showed early on the last day of TOM, his show was greeted by a relatively healthy crowd - a few of whom were journalists who turned up specifically for Carter's collection. Despite TOM's complaints of quality, there was very little that was sloppy or unfinished about Carter's pieces. Androgyny? 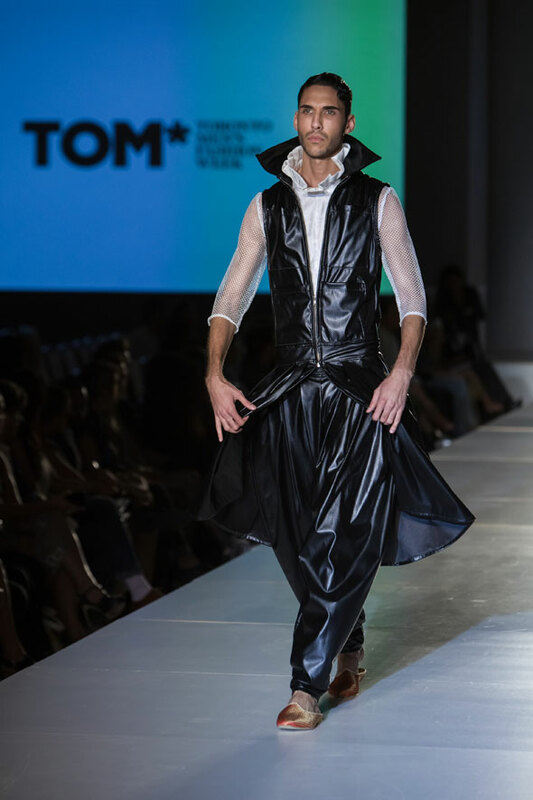 Yep, the collection had that in spades, with voluminous skirts, a smattering of crop tops and Victorian-inspired neck ruffles mixed in with more aggressive and futuristic pieces, like his closing look, a showstopping sculptural black metallic jacket. 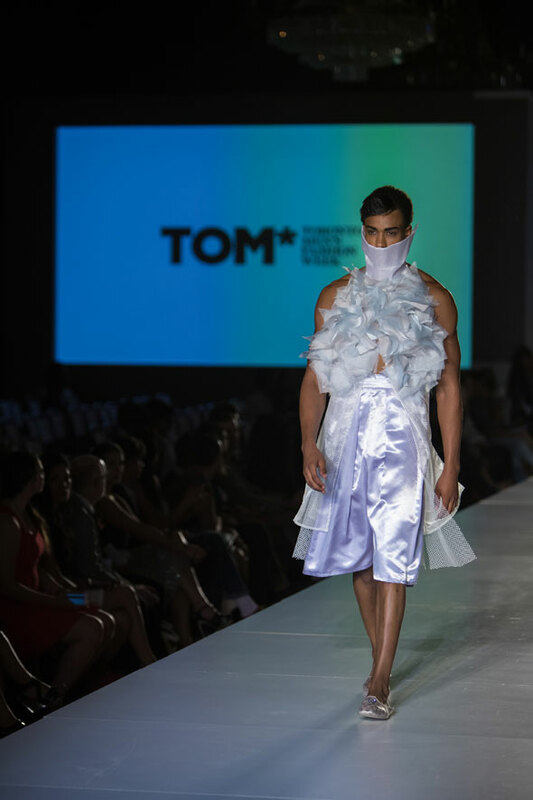 Male models stalked the runway, shoulders forward, in pieces festooned with traditional markers of femininity - bell sleeves, pastel-coloured chiffon, peplum ruffles, and a few bonnetlike straw hats. 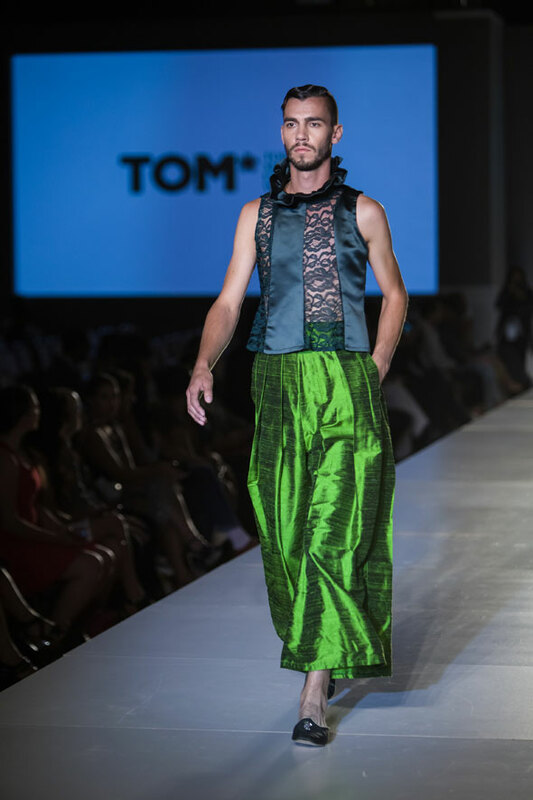 Mixed in were nods to men's dress not often seen in Western fashion, like mega-voluminous pants and men's slippers from India. The effect was, by turns, jarring and thought-provoking. 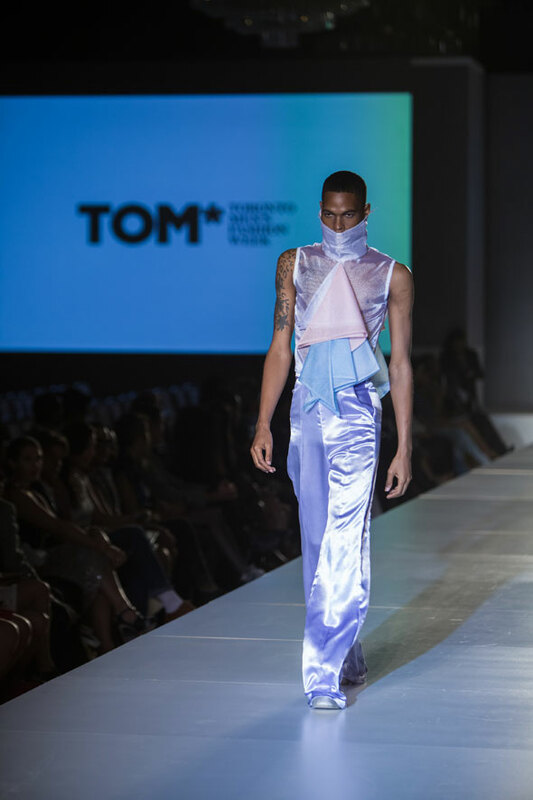 That's in line with Carter's stated goal as a designer - "continuing the dialogue within the fashion community about gender binaries, and really finding spaces for different masculinities and femininities." He's glad for the support that made that exploration possible at TOM. "You definitely have the power to do that, provoke societal change. But people have to be on board with that, right? And people were."